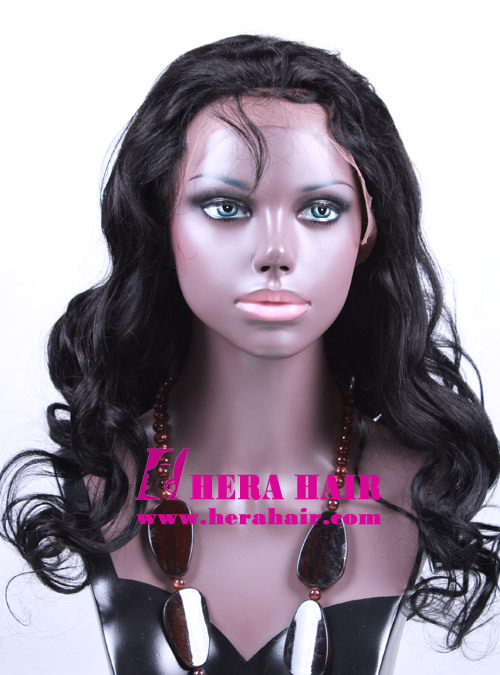 This full lace wigs is Hera custom 22 inches wavy 145% hair density #1 jet black Brazilian virgin hair full lace wigs with 4"*4" silk top, which custom full lace wigs could give you the perfect appearance and wear comfortably. 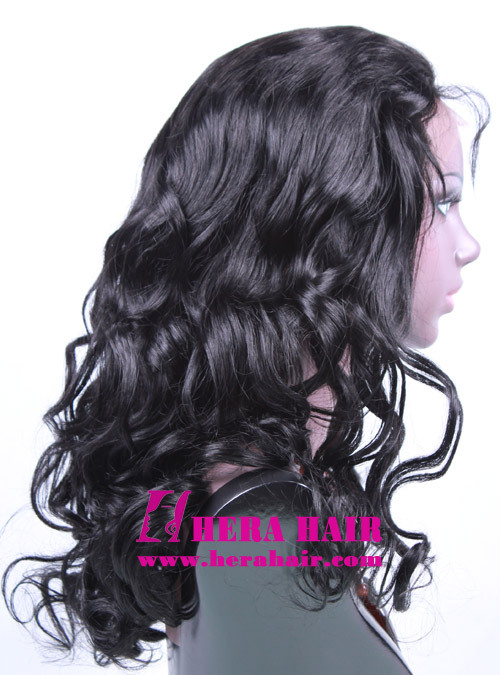 Now more and more ladies do custom full lace wigs from us, which they could get the right full lace wigs from Hera, because Hera is the best professional full lace wigs maker in China. We know that many Chinese companies do the full lace wigs cheaper and cheaper, which the hair materials price is rising in fact. We know all the tricks of this, such as using more short hair, less hair density, cheaper materials etc. But we have not changed our idea, we only want to do perfect full lace wigs for our customers and we are very happy when we know our customer's satisfied with our full lace wigs quality. Hera want to be the #1 full lace wigs maker and supplier in China, even whole world and all Hera staff always working for that goal. 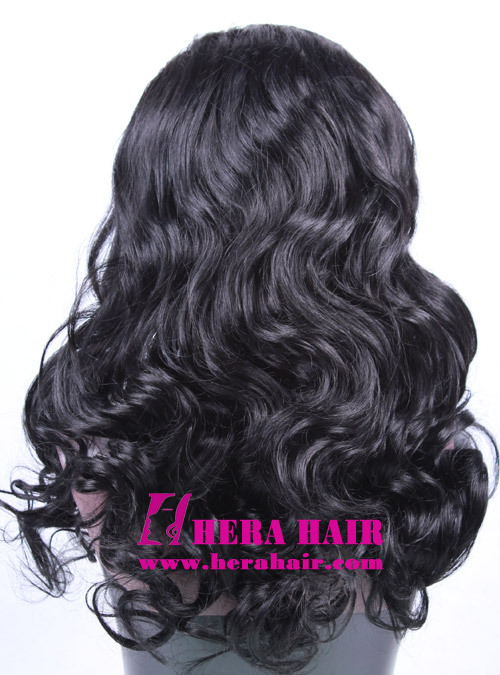 Hera can supply cheaper price Indian remy hair stock full lace wigs and we also can do custom Chinese virgin hair, Indian virgin hair, Brazilian virgin hair, Malaysian virgin hair, Mongolian virgin hair and European virgin hair full lace wigs. If you want to buy wonderful full lace wigs, which could suit for your head very well and give you a wondeful appearance, please feel free to contact us. Any requirement about full lace wigs, higher hair density full lace wigs, ombre color full lace wigs, any hair texture full lace wigs, silk top full lace wigs, if you can describe your requirement very well, we can do that for you. Let's enjoy the wonderful full lace wigs together.